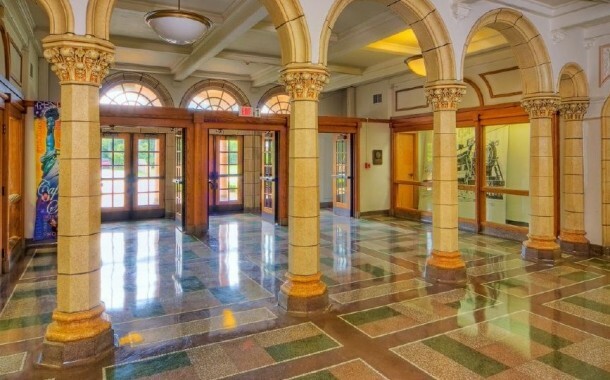 Crispus Attucks Medical Magnet High School « Davis & Associates, Inc.
Davis & Associates served as the Construction Manager on the existing Crispus Attucks Middle School. The school was renovated to accommodate the Medical Magnet School. The required renovations included new and renovated science lab, ADA upgrades, MEP renovation/replacement and security upgrades. The project also accommodated a partial window and roof replacement. The Owner required that the school be occupied during the construction project, therefore, a phasing plan was developed so the day-to-day operations at the school were not affected. Crispus Attucks opened in 1927 as Indianapolis’ first all black high school. Now, the school is listed on the National Registry of Historic Places. The curriculum at Crispus Attucks is geared for those who are pursuing a career in the medical field.